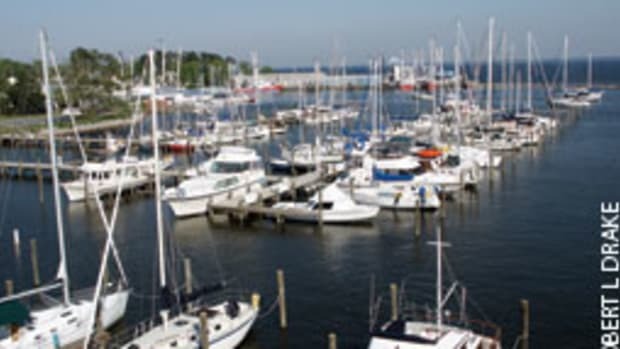 Mention "Rose Buddies" to Intracoastal Waterway cruisers and they immediately know you&apos;re talking about Elizabeth City, N.C., on the Pasquotank River. 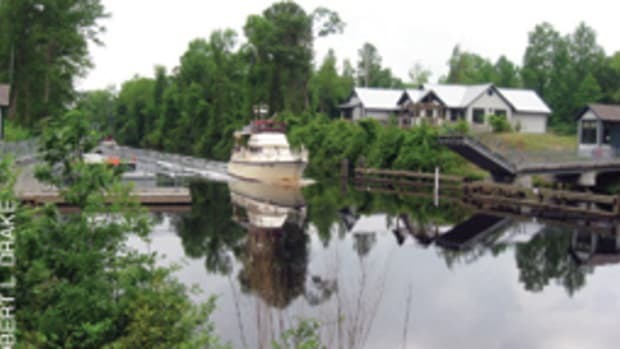 It&apos;s the major port on the Dismal Swamp Canal route between Chesapeake Bay and Albemarle Sound. Since 1983, locals have welcomed yachts by presenting a rosebud to the first mate on each boat arriving at Mariners&apos; Wharf downtown. Although Rose Buddies founders Joe Kramer and Fred Fearing have passed away (Kramer in March 1987, Fearing in October 2007), David Thomas, who helped Fearing for 20 years, carries on their legacy. Blossoms for the women come from the roses that were transplanted from Kramer&apos;s garden years ago and now frame the "Harbor of Hospitality" mural and Rose Buddy monument on Mariners&apos; Wharf. 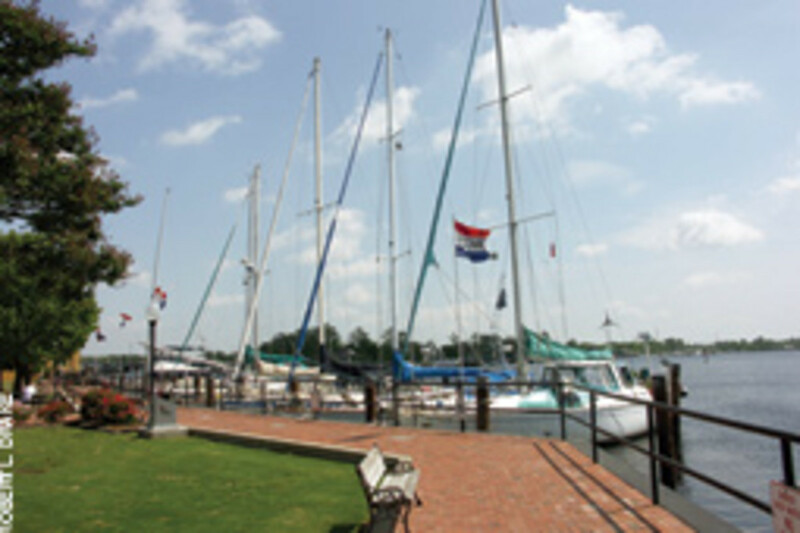 The Elizabeth City Area Visitors and Convention Bureau sponsors weekday Rose Buddy wine-and-cheese receptions on the adjacent Grouper&apos;s Restaurant dock whenever five new yachts tie up at Mariners&apos; Wharf&apos;s 14 free slips. 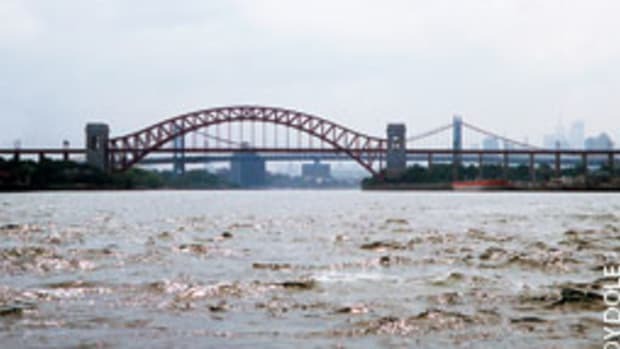 More than 30 boaters might attend, particularly during the spring and fall. 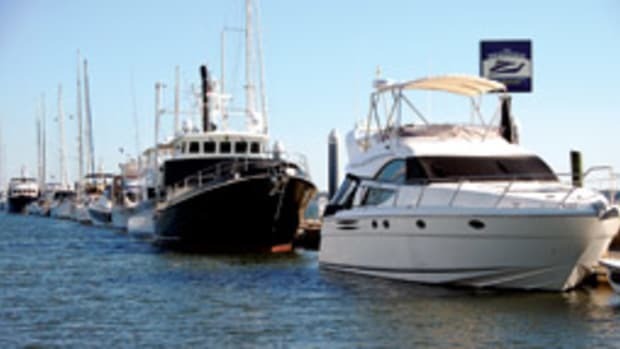 Overflow boats also anchor out, raft up or tie up at adjacent private docks (with arrangements), Pelican Marina (across the river) or the Elizabeth City Shipyard (downriver). Every day for the last eight years, a retiree and World War II veteran named Sam has been greeting all yachts arriving at Mariners&apos; Wharf to explain the city&apos;s amenities. Boaters think of him as a dockmaster, but he and the city government say he is an "unofficial greeter." 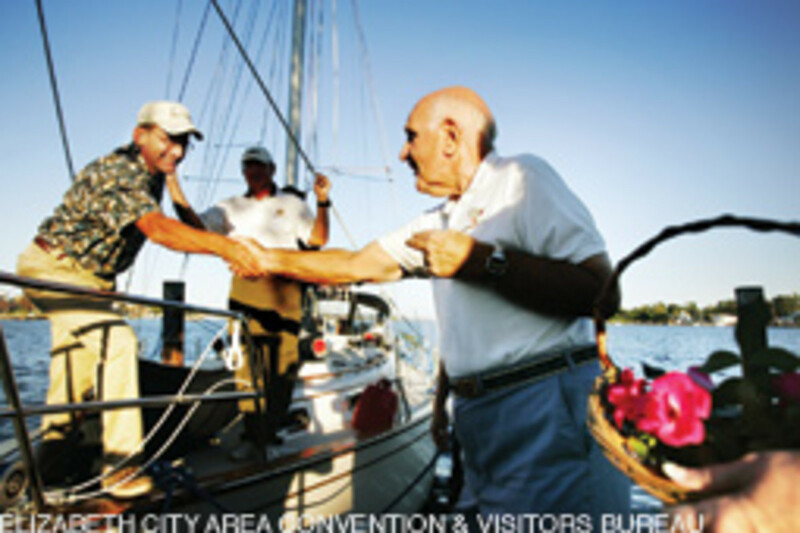 Visiting boaters appreciate Elizabeth City&apos;s 48 hours of free dockage and being welcomed with open arms. "It&apos;s the best town on the ICW to enjoy the people and to spend our money," says Bill Soulier, on the ketch Second Wind and heading to his Hudson River, N.Y., home after a winter of chartering his boat in Marathon, Fla. "A lot of towns, especially in Florida, discourage cruisers." From the docks, boaters can walk to restrooms, laundry facilities, a fitness center with $3 showers, a Wi-Fi hot spot, 15 restaurants, three museums, art galleries and retail shops. 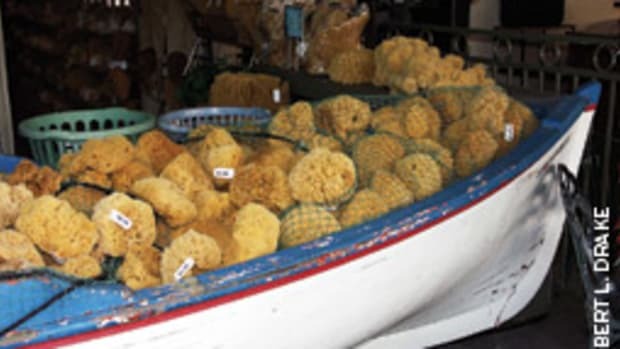 Farm Fresh Supermarket will pick up boaters and return them with their groceries. Waterfront activities include a twice-weekly farmers market and frequent free festivals, including summer outdoor classic films. The well-stocked Visitors Center adjoins the docks and its friendly staff tells boaters, "If there is anything you need, please come and see us." Downtown restaurants serve a variety of cuisine - from down-home to gourmet - in a range of prices. City Wine Sellar Bakery, Deli and Wine Bar - named 2008&apos;s best deli - offers tempting meals and snacks, plus weekly wine tastings, live music and Wi-Fi. Between meals, try The Chocolate House&apos;s delectable chocolate-dipped strawberries, the Muddy Waters Coffeehouse or the pair of sports bars. Several downtown restaurants, but no stores, are open on Sundays, as are the chains out along U.S. 17 and U.S. 17 Business. The Museum of the Albemarle, which dominates the waterfront, symbolizes downtown&apos;s recent renaissance. Opened in 2006, it displays the region&apos;s history from American Indian cultures through today, including the local Coast Guard station, which is among the largest search-and-rescue facilities in the country. Dioramas, interactive displays and artifacts - including a 1755 cabin, the region&apos;s oldest house; an 1850 "fire truck"; dozens of decoys; and a full-scale model of a shad boat - illustrate the city&apos;s changing fortunes. 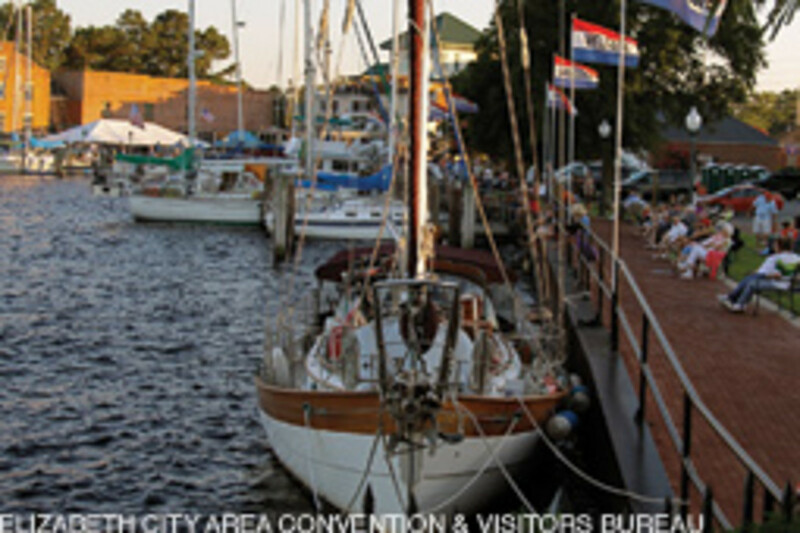 Elizabeth City was an active trading port by 1722 and the county seat after 1793. It was incorporated as Reading and called Elizabeth Town from 1793 to 1801. 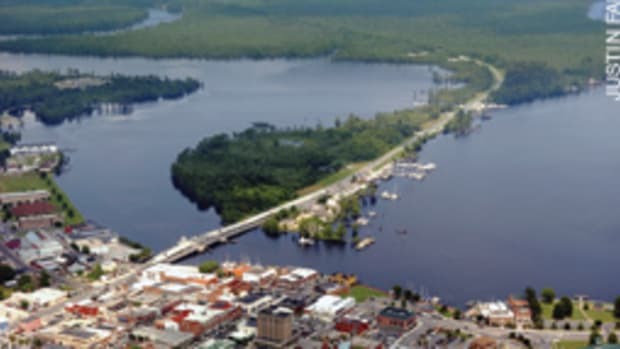 It boomed after 1805 when the Dismal Swamp Canal connected Albemarle Sound area timber, fish and farm products with Chesapeake Bay markets. Union-controlled during the Civil War, Elizabeth City and Dismal Swamp were important stops on the Underground Railroad for escaping slaves. The city&apos;s fortunes peaked in the late 1800s when the railroad opened up remote timber areas, then declined as the forests were cleared. Seafood processing, market waterfowl hunting, wealthy Northerners&apos; gunning clubs (with $5,000 initiation fees) and demand for decoys boosted the economy, which collapsed in the Great Depression. Recreation, tourism, retirees and the Coast Guard station fuel the current revival. One exhibit commemorates the Moth sailboat, developed here in 1929. Locals still sail and race the 11-foot one design. The 1897 Lowry-Chesson Building, renovated and opened in 2009 for the Arts of the Albemarle (regional arts council), presents works by more than 300 artists and craftspeople on the first floor. Upstairs, professional and amateur theater and musical groups perform in the 230-seat former vaudeville theater. "The Center" also offers classes and clubs in music, writing and the arts. Across the street, Port Discovery tempts children with interactive science displays. And what boater can pass up the Page after Page Bookstore? 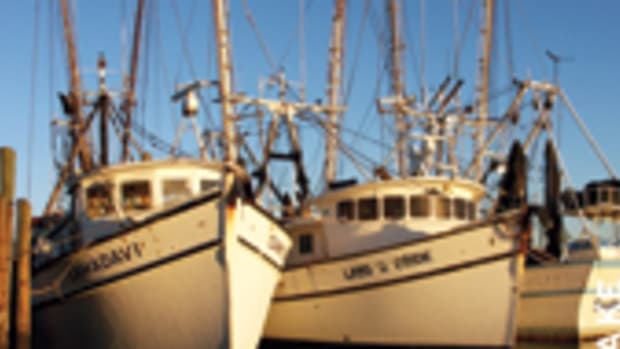 Elizabeth City says it&apos;s the "Harbor of Hospitality," with good reason. Talk to the locals and you&apos;ll see why. 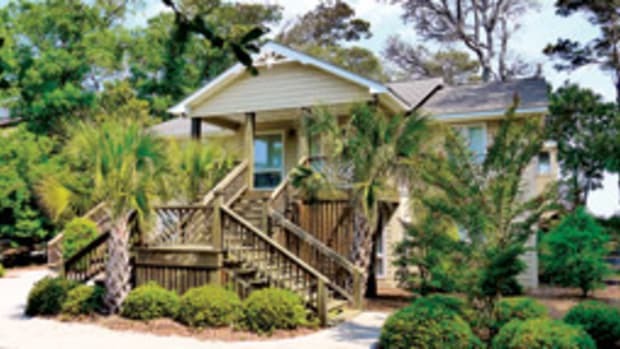 DestinationsPrint magazine April 2011 Elizabeth CityN.C.